The Adapted Boxing Program, which helps people who suffered serious injuries or fight against medical conditions, plans to expand and prosper globally. The WBC supports this program fully with ongoing activity. Adapted boxing was established in Britain ten years ago by Colin Wood, who was diagnosed with an eye disease. Its headquarters are located in Leicester Boxing Academy, which was visited by the World Boxing Council, taking advantage of the opportunity to donate equipment and tools. Three gyms participate in the program. Danny Higgins serves as coordinator, he is an adapted boxer, and resides in Leicester. Also participating are gyms Gary Murray Gym of Scotland and Andrew Bert Gym of Wales. 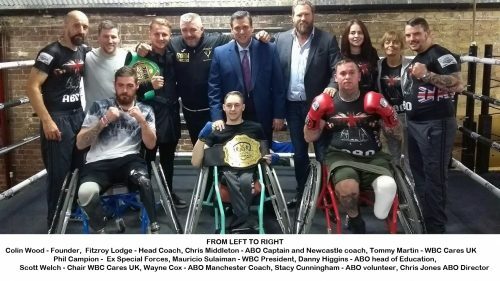 Also Wayne Cox, an adapted boxer, is starting a gym in Manchester and Chris Middleton, a former soldier who lost both legs, is opening a gym in Newcastle. In addition to this, two gyms in London are also interested in supporting and participating. So far, there have been many successful events in Britain, but there has only been one international event in the Netherlands; However, strong links have already been established with the United States, Australia and Brazil. 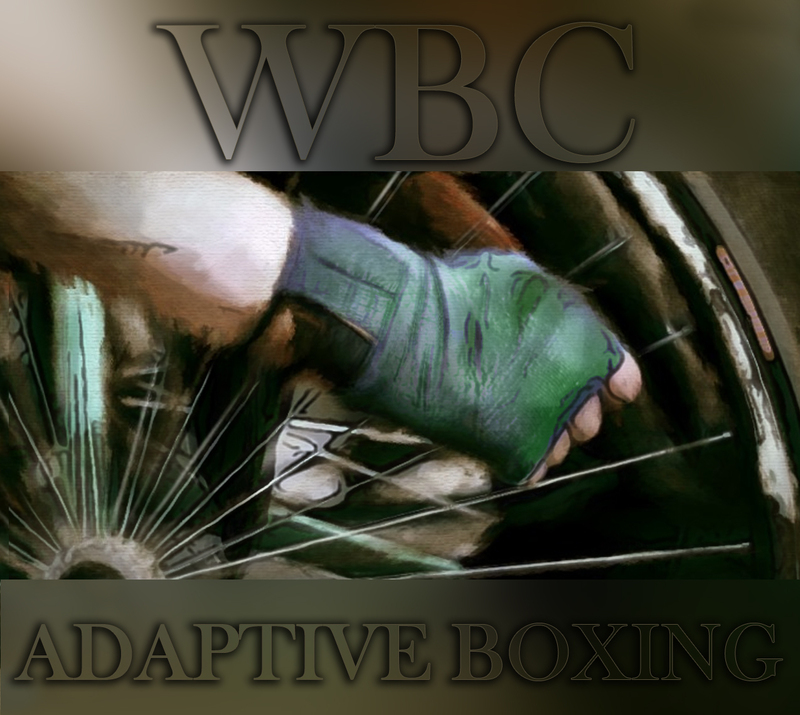 A solid objective is to get Adapted Boxing included in the Paralympic Games. To take this step it would be necessary for thirty-four nations to participate in the qualifying processes. 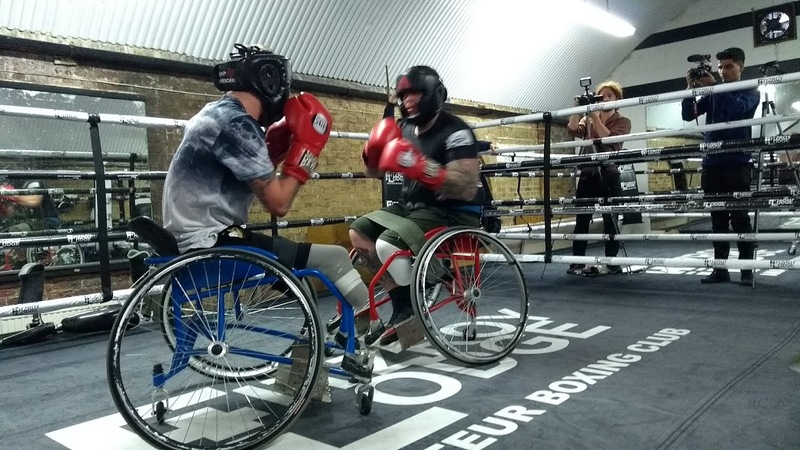 Possibilities are being explored to confirm that adapted Boxing can be included in the Invictus Games for former military personnel who suffered injuries and injuries while performing their duties. WBC Cares is supporting the second Special Forces Boxing Tournament in Brighton next month, where special awards will be given. The rules are being scrutinized carefully and meticulously, and ways are being explored to make the sport more accessible for those who use wheelchairs. 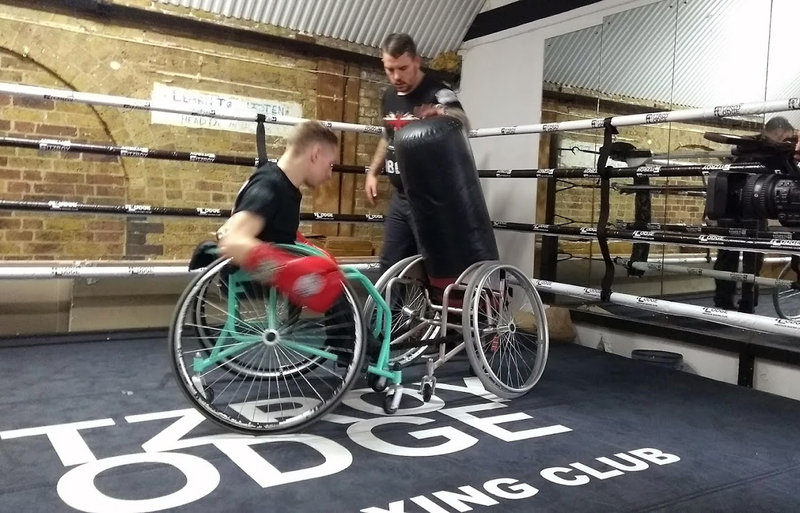 We’re looking for a meeting with Stoke Manderville Hospital, one of the world’s leading centers for spinal injuries, so that you can better appreciate and understand how to make Adapted Boxing as safe as possible.